he cycle of conferences Forums of UIC Barcelona School of Architecture, essential annual appointment in the field of architecture, launches a new edition, with the collaboration of BBConstrumat, which will run from February 11 to May 6. 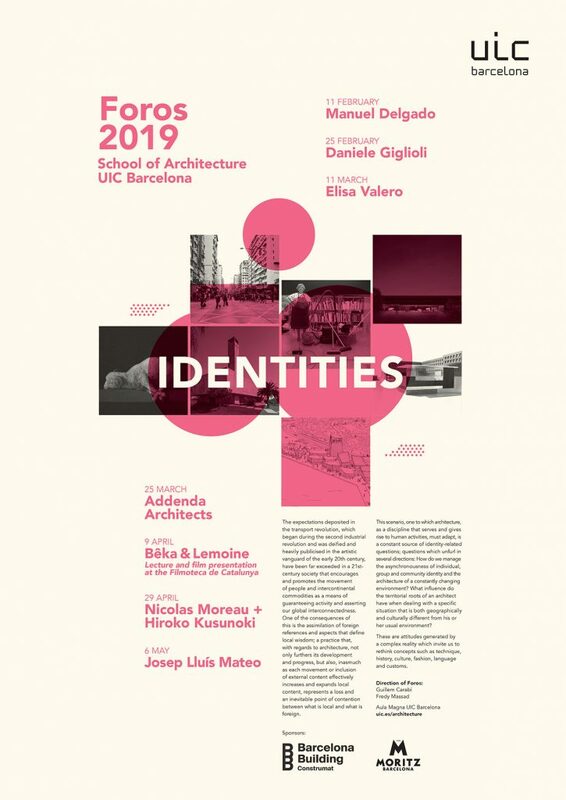 Under the title “Identities”, this new call aims to contribute to the debate on the concept of identity in the exercise of contemporary architecture, strongly marked by the current trends of globalization. Forums 2019 has the co-direction of the teachers of the Guillem Carabí and Fredy Massad. The cycle opens on February 11 with the conference of Manuel Delgado, professor in Anthropology at the University of Barcelona (UB). Delgado is an expert in the construction of collective identities in urban contexts, religious violence and social appropriation of urban spaces, topics on which he has published numerous articles in national and international scientific publications. The second conference will take place on February 25, with the intervention of Daniele Giglioli, professor of Comparative Literature at the University of Bergamo (Italy). Giglioli, just published in Spain Critic of the victim (Herder Editorial), an essay that investigates the origins and symptoms of the so-called ideology of the victim in contemporary society. On March 11 will be the turn of the Spanish architect Elisa Valero, recently awarded with the prestigious Swiss Architectural Award (2017-2018). 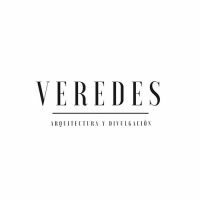 Valero is a professor of Architectural Projects at the School of Architecture of Granada and director of the research group RNM909 Efficient Housing and Urban Recycling. 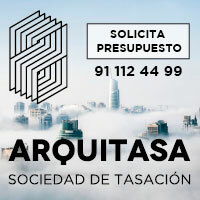 Since 1997 he runs his own office and has published several essays on architecture. The cycle continues on March 25 with a presentation by the Barcelona office Addenda Architects (Roberto González, Anne Hinz, Cecilia Rodríguez, Arnau Sastre and José Zabala), author of the winning project for the construction of the new Bauhaus Museum Dessau (Germany), whose opening is scheduled for 2019 coinciding with the centenary of the German institution. On April 9, the Forums cycle moves to the headquarters of the Filmoteca de Catalunya, where the video artists Bêka & Lemoine (Ila Bêka and Louise Lemoine) will offer a presentation followed by the screening of one of their films. Selected as one of the hundred most talented personalities by Icon Design magazine, Bêka & Lemoine have been experimenting with new film narratives related to contemporary architecture and urban spaces for over ten years. His complete work was acquired, in 2016, by the Museum of Modern Art of New York (MoMA) to incorporate it into his permanent collection. After the presentation of the 9th, the Filmoteca de Catalunya will offer a monographic cycle on his work that will be extended on 10 and 11 April. The sixth conference will be held on April 29th by the young architects Nicolas Moreau and Hiroko Kusunoki. Moreau (French) and Kusunoki (Japanese) started their career in Japan, where they gained extensive experience with architects such as SANAA, Shigeru Ban or Kengo Kuma. In 2011 they settled in Paris and, since then, their projects clearly express the cultural duality of the couple. In 2015, they won the competition for the construction of the Guggenheim Museum in Helsinki. Forums 2019 closes on May 6 with the intervention of the Catalan architect Josep Lluís Mateo, Professor of Architecture and Design by the Swiss Federal Polytechnic (Zurich). His professional practice, developed throughout the world, has been widely awarded, published and exhibited.